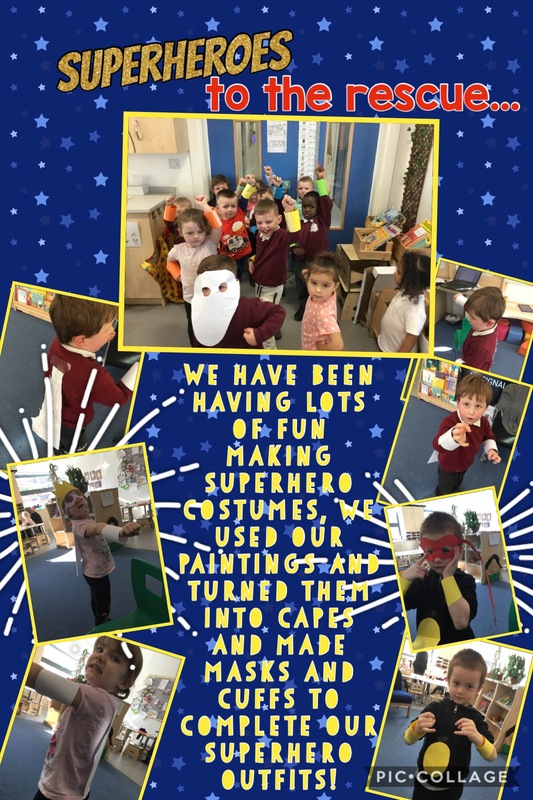 You might have noticed the different displays we have been putting up in nursery. We have changed how we do displays a little in Foundation Stage. We have changed the background colours so they are more natural and calming and the children’s work stands out more. We have also tried to add more of what the children have said about their learning to displays. You will have seen your child’s photo on the wall. Every child has a space with their photo, their name (written from memory) and their targets. We will continue to add children’s work to this display to show you what they have been doing in nursery. This might be photos, models, writing, art work or learning stories. There will also be a speech bubble showing what the children have said about their learning. Please look at your child’s space and ask us anything you would like to know about it. If children have done something at home you would like to share please bring it in to show us! In our maths area we have a new interactive maths display to support children’s maths skills. There are envelopes with the numbers to ten filled with objects. There are photos of that number of children, number cards, counting fingers, photos of numbers in the environment, objects to count etc. 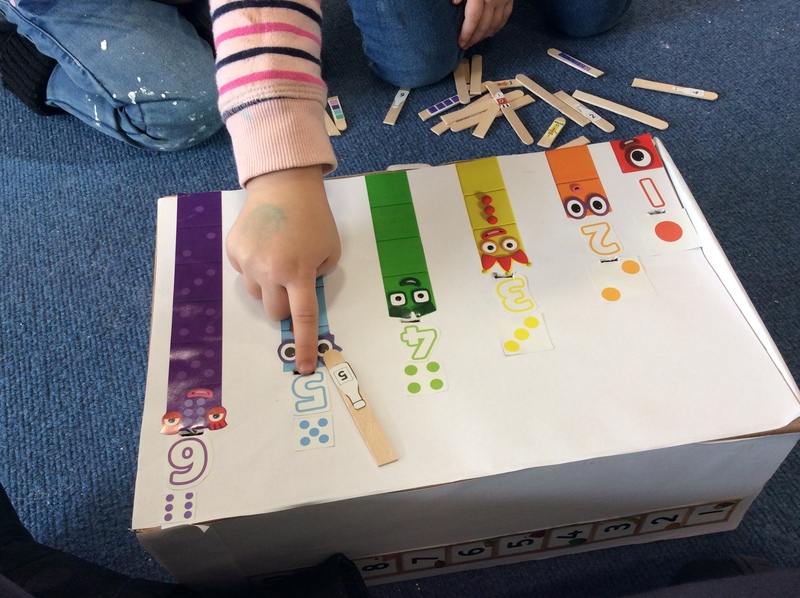 Children can count out objects, order numbers, match numbers and amounts etc. 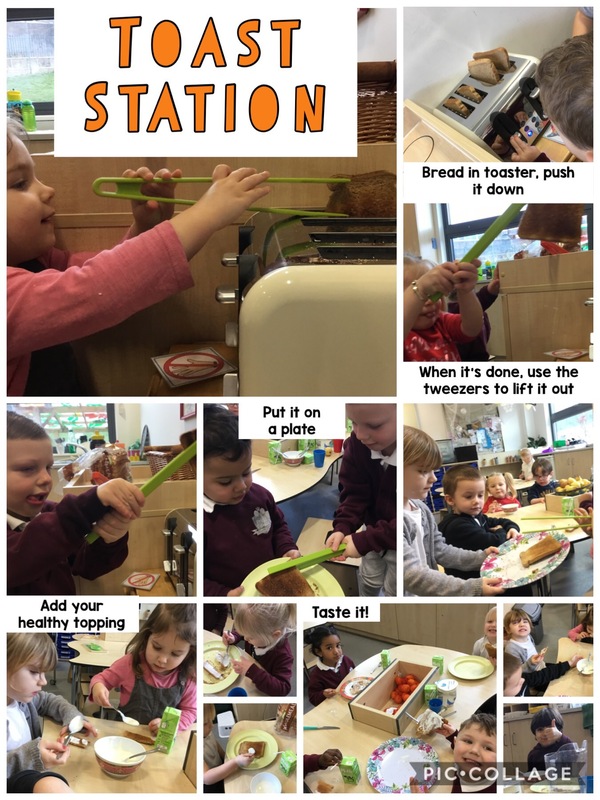 Children can carry on this learning at home; looking for numbers in the environment (on signs, phones, buses, trams, clocks etc), counting out objects when playing, eating and baking. 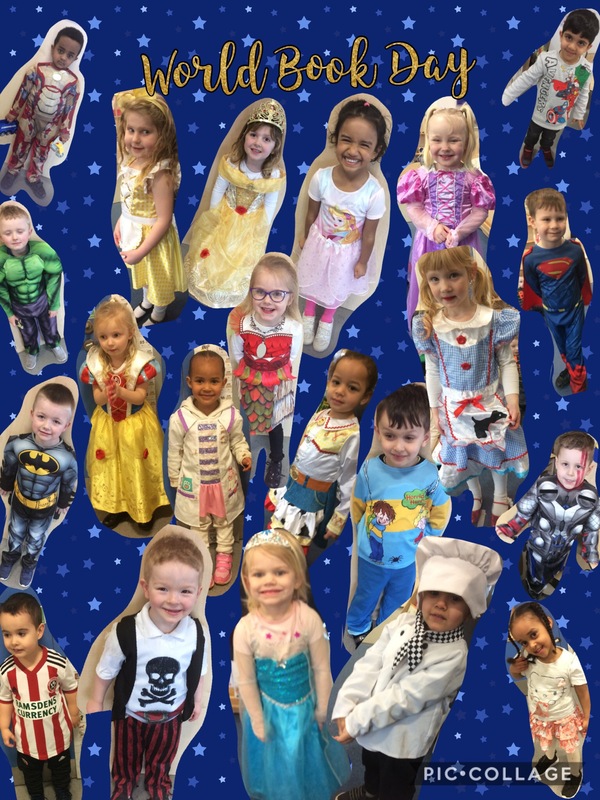 The children drew a picture of themselves. They then shared it with their friends who suggested how they might make it better. They had another try at their drawing taking on board their friends’ comments. As you can see there is a big difference between their first and second drawings. This process encouraged children to be reflective and supportive to friends. The children drew a picture of what they wanted to build then created it with the blocks. They then talked about what they had made. This display has information about the Early Years Foundation Stage. 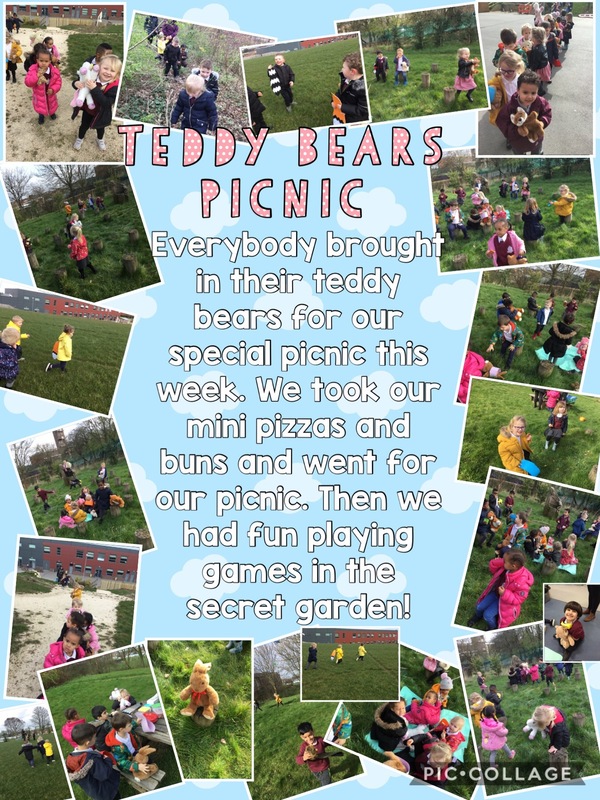 It includes information about the characteristics of learning which are things we want to see in the children’s learning and play such as exploring and having their own ideas. There are photos to show what this looks like in children’s play. In the children’s end of year reports we will be looking at how the children show these characteristics in their play. We have been in our new school for two weeks and even though there are still things to finish it’s starting to feel like ours.